I am slightly addicted to making quick and easy play sets out of foam. Why not? Foam can be transformed into practically anything. It's great for imaginative play. It's easy to cut. It sticks to things when wet. As a result, foam ends up being a great way to bring some imaginative play into the bath tub. 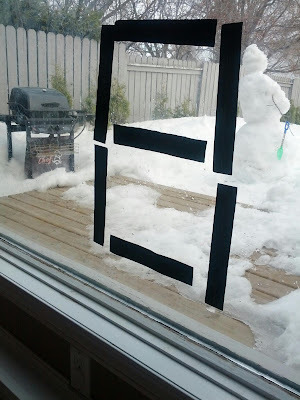 Cut the black foam into strips of various lengths. Draw a dashed line in the middle of each strip with the permanent marker. 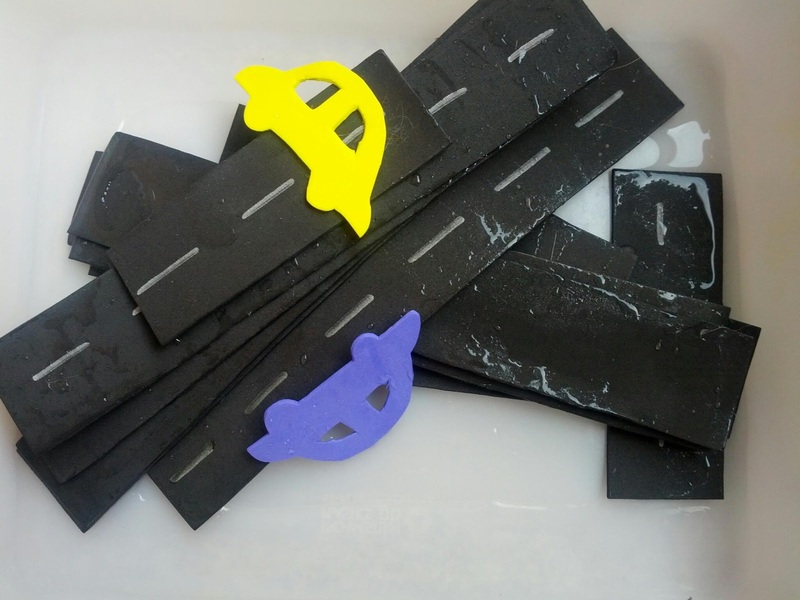 Use scraps of colored foam to make cars for the road. Strips of road and two cars made out of foam. Initially, I set up the invitation in the living room using a bucket with a small amount of water. Then the boys were able to assemble the roads on the window. J and K checking out the new play set. Of course, J turned them into a number 8. 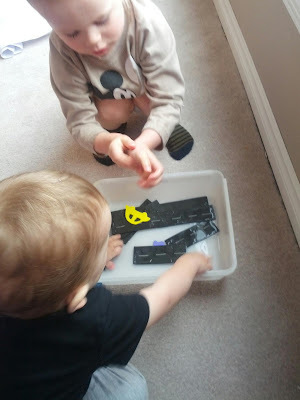 The boys also tried this play set out in the bath tub. How fun! 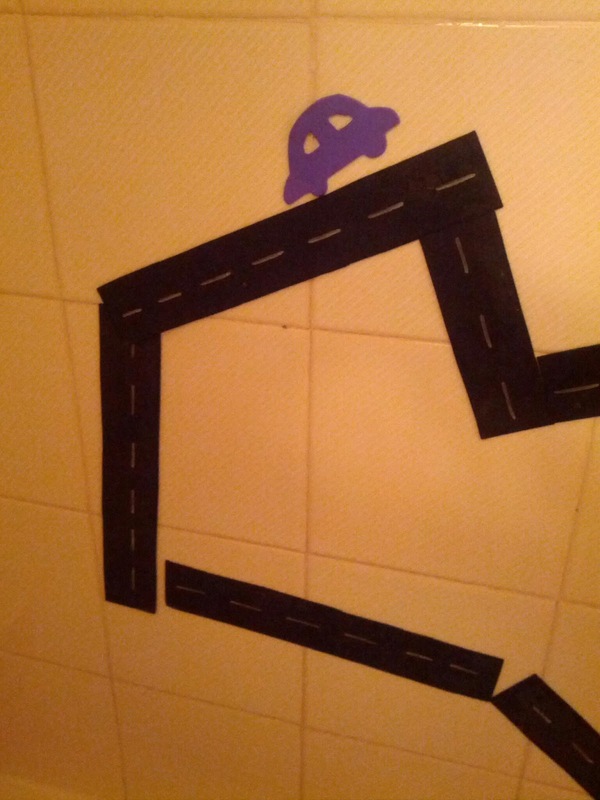 A roadway on the bathroom wall. Foam is wonderful stuff. This would be easy to pack up and take with you somewhere unlike plastic car/train tracks. Yes, it would be great for travel.